(‘’Vrachos (=Rock)’’, 1,58ha, sub-region. Amyndeon plateau. 23 hl/ha, post to green harvest & selection, 36 months in Jupille at 200% (18+18) new oak casks and 24 months in bottle. No treatment or filtration before bottling. 15,30% abv, TA 5,50 g/l, pH 3.46). 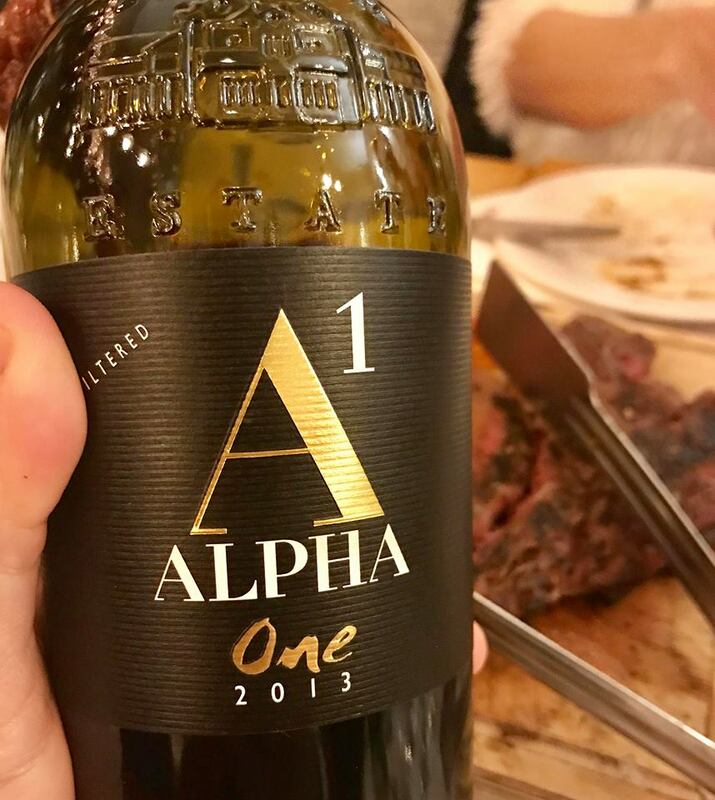 Alpha One 2013 is a big wine. Let me be clear on that. However for all the concentration and oak power (mostly felt on the palate) there is very nice balance with a wave of freshness from the linear acidity. Long strong finish. A Syrah extravaganza that ticks all the boxes.